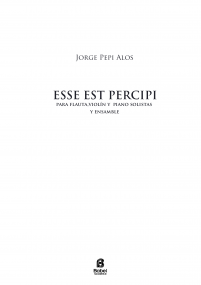 Jorge Pepi was born in 1962 in Córdoba, Argentina, after studies in his country until 1980, he obtained a scholarship from the Argentinean government permitting him to develop his knowledge in Europe. He studied the piano with Edith Fischer and attended the Menuhin Academy in Gstaad (chamber music). After obtaining a concert diploma in the piano, he entered the composition class of Eric Gaudibert in Geneva. In 1985 he began collaborating with the Théâtre de l'Ephémère in Lausanne, composing the music for several theatre works. In 1990 his Metamorfosis I for piano was awarded a price by the Swiss Musical Edition. In 1991 his chamber opera La Caccia al Tesoro won the prize of the Swiss Authors Society and was performed in several swiss cities as well as in the Festival Wien Modern with great success. 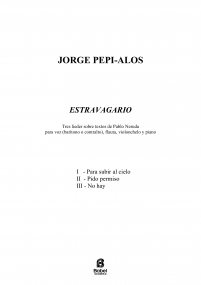 In 1993 he received the Prize of the International Tribune of Composers in Argentina for Metamorfosis I and the first prize of the Competition for Composition of Gerona, Spain, for Estravagario. In 1995 the French Swiss Radio commissioned a piece (Amalgama) for the Prix Gilson, a prize awarded by the Association of French speaking radio networks. 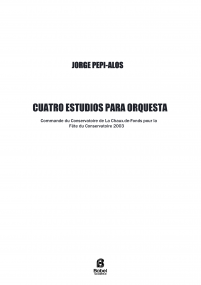 From 1992 to 2006, Jorge Pepi taught music analysis and chamber music at the Conservatoire Neuchatelois and shared a professional piano class with Edith Fischer in Barcelona. 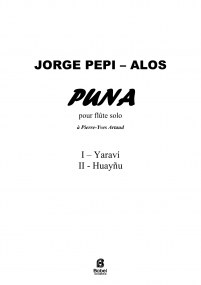 Since 2007 he is Professor of Composition at the University of Chile’s Music Department in Santiago, Chile, where he takes an active part in the musical life as composer and pianist. In 1989 he creates the Festival Semaine Internationale de piano in Blonay Switzerland, where he is artistic co director up to now.